Nokia has a lot riding on the success of the Nokia Lumia line. Nothing short of the survival of the firm is at stake. But only a tad more than a month since it's U.S. launch, you can find Nokia Lumia models discounted heavily with some carriers offering certain models for free with a signed two year pact. Last month, the top-shelf Nokia Lumia 920 launched in the States as an AT&T exclusive for $99 on contract while the Nokia Lumia 822, an exclusive to Verizon, was launched for $99 with a signed two-year contract. 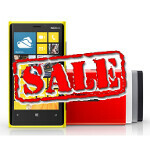 The Nokia Lumia 920 is still $99 at AT&T, but can be found for $49.99 at Amazon. 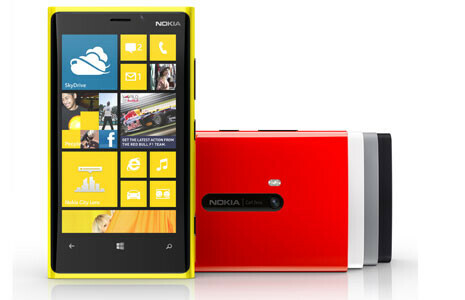 The Nokia Lumia 822 is now free at Big Red, with a signed two-year pact. For what it's worth, the Nokia Lumia 920 is free from China Unicom with a 2-year handcuff and the version of the phone designed for China Mobile's proprietary TD-SCDMA network is only 1 Yuan on contract. For the most part, the Nokia Lumia 920 has received good reviews and there are fans of the whole line. Just the other day, billionaire Mark Cuban said that he replaced his Apple iPhone 5 with an unnamed Nokia Luimia model, saying that it "crushed" the Apple iPhone 5. Most likely, the outspoken Dallas Mavs owner sports the Nokia Lumia 920. Other carriers are offering Nokia Lumia models for free, including T-Mobile which is giving away the Nokia Lumia 810 to those who sign a two-year contract. The carrier said its deal was part of a limited time offering while Verizon wouldn't comment on its Nokia Lumia 822 pricing. Nokia really doesn't have much say in the pricing decisions. A spokesman for the Finnish based carrier, Doug Dawson, noted that "pricing is always a carrier decision, but holiday season promotions are fairly standard at this time of year." As if to prove that it isn't just Nokia phones being offered for free this holiday season, Dawson pointed out that some Samsung branded phones are free in certain markets. Nokia hasn't released sales figures for the line, and the fact that there are so many discounts revolving around the manufacturer's Lumia models so soon after launch (despite the holiday season), has some analysts worried that sales figures are not as good as Wall Street expected and that Nokia needs. What is the point of this article from the WSJ? Are they bored? Is this article about Nokia phones being discounted (not in Nokia's hands) or about how you think they aren't selling many phones? Phone arena is good for adding drama to the article to make sure they get their link clicks. That last paragraph turned the article from informative to speculative. @freebee269 2 thumbs up! When it comes to MS, most tech sites do like to stir the pot. My assumption is because of MS's radical departure from the mainstream, the modern UI. Society now lives in a collective. If it doesn't do what everyone else does, they reject it. I like the Nokias but they sure are a heavy bunch of phones -- and yet look like toys. As a graphic designer I appreciate the colors and the fact that two, at least, are on AT&T's 4G LTe network. Great data speeds there. But that weight... Ugh!